The premiere of Hawaizaada was a casual screening. 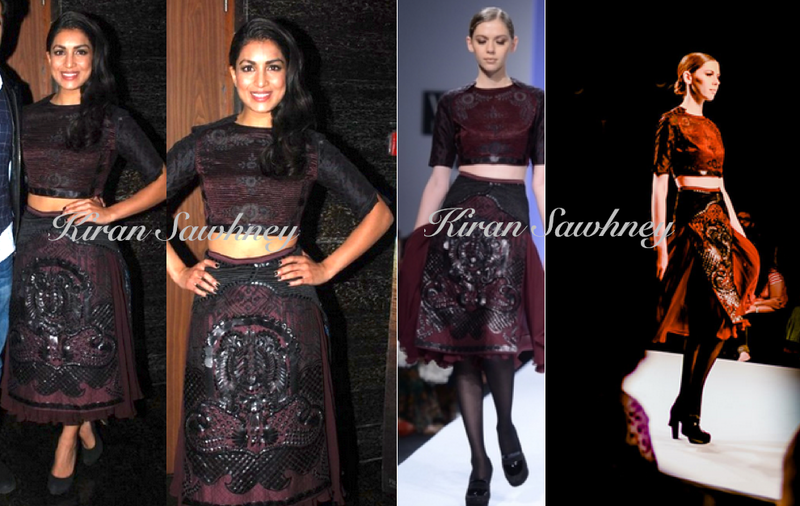 The actress of the movie, Pallavi wore burgundy separates from Sahil Kocchar. It has a crop top and a skirt with very interesting leather and sequin applique. It was showcased by the designer in Wills Winter 2014. She looked nice.